Bucharest, 9th of April. The British International Personal Finance Group (IPF) announces the appointment of the first Romanian general manager at the helm of its division in Romania. From his new position, Florin Bâlcan, 42, will continue the strategic and operational development of Provident localy and strengthen its position on the consumer credit market. The new general manager joined the company in April 2015 as Regional Risk Director for Romania and Hungary. With over 17 years of experience in multinational financial and banking companies, Florin has held various leading positions in Citibank Romania, Citibank Czech Republic and PwC. Florin Bâlcan replaces Viktor Boczán, who has run the business in Romania for the past four and a half years, and will take over as CEO of the IPF business in the Czech Republic. 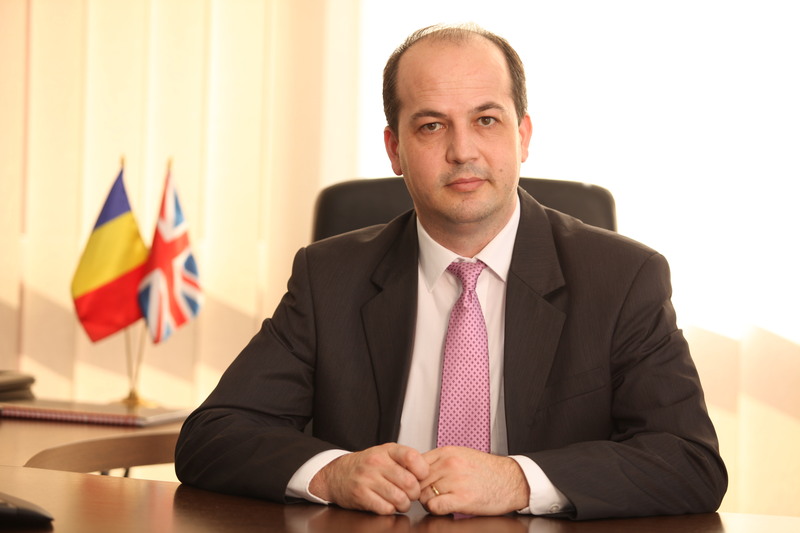 Under Viktor’s management, the company has exceeded 350,000 active clients in Romania and has become one of Britain’s largest employers in our country. In addition, during this time, Provident received external recognition for strategic and sustainable development: Superbrand in 2017, awards for financial education programs, Top Employer in 2019. “I am honored to take over the leadership of Provident Romania at such an important moment in our development. We want to preserve the tradition and experience that defines us and, at the same time, to use technology and innovation to improve the experience we offer to our customers and thanks to whom we become who we are today. Our mission remains the same: to support financial inclusion by creating a credit history and to responsibly give people in all categories access to a flexible and transparent financing form, “said Florin Bâlcan, the new CEO of Provident Financial Romania. In 13 years of presence on the Romanian market, Provident has served over 1 million customers, the value of loans issued over 1 billion euros. Earlier this month, Provident announced the expansion of its strategic partnership with Metropolitan Life at a national level, offering its customers the opportunity to purchase optional life insurance for all new contracts. In addition, over the next year, the company is considering launching a fully digital credit product, based on IFP’s digital division experience and know-how, which currently employs nearly 300,000 customers in 8 countries across 3 continents. Provident Financial Romania is part of the UK International Personal Finance Group (IPF), Europe’s leading provider of home loans. The Group has 2.4 million customers in 9 countries across Europe, as well as Mexico and Australia. IPF is one of Britain’s largest UK and South East European employers and is listed on the London Stock Exchange. Since 2006, Provident has invested more than 300 million euros in Romania and has contributed to the state budget with taxes amounting to 102 million euros. Provident was certified as Top Employer in Romania in 2019, the only one in the banking and non-banking financial industry, and is one of the largest employers in our country with over 2,300 employees. Provident develops and supports various social responsibility projects – financial education programs, youth talent development, and support for underprivileged groups – in which it has invested over 1.1 million euros so far.